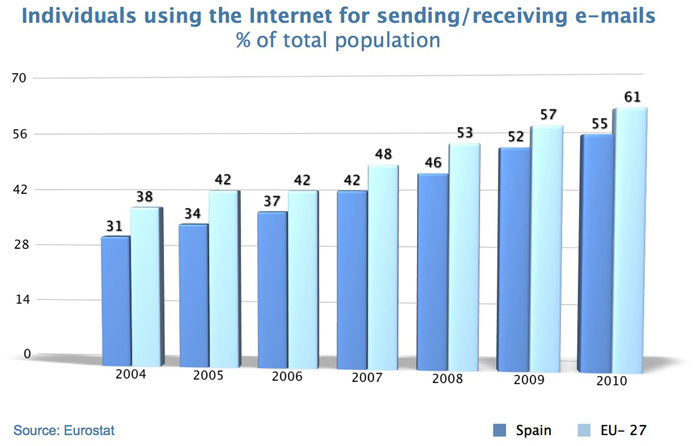 61% of the EU-27 population used the Internet for sending/receiving e-mails in 2010, 23 percentage points more than in 2004. This evidences the increasing trend of e-mail use by citizens. There are important differences between the European countries. 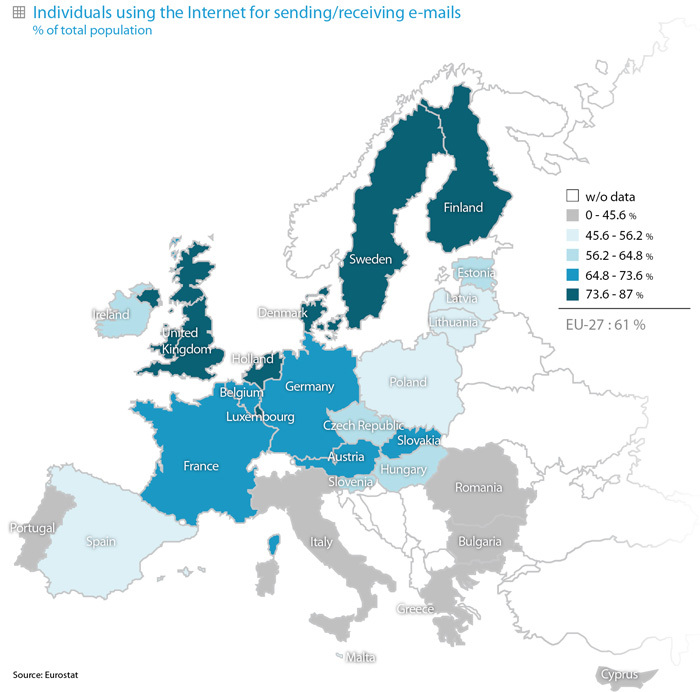 While in countries like the Netherlands, Sweden and Denmark 87%, 84% and 83% of the population respectively has used the Internet for sending/receiving e-mails in the last 3 months, in others like Greece or Romania this indicator hardly reaches 35%. Spain records 55%, 24 percentage points more than in 2004 and ahead of countries like Italy and Portugal. Number of individuals, expressed as a percentage of the total population, who have used the Internet for sending/receiving e-mails in the last three months.